What better a place to getaway to than Asia? 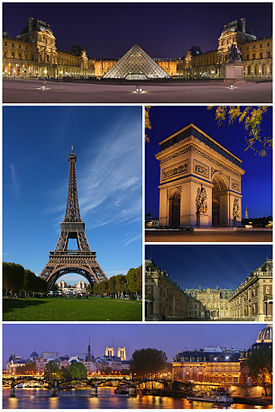 It’s a large land full of many wonders, as well as many places of pure excitement and romance. From India to China to Japan, there is so much to see and so much to see with your lover. Asia is exotic and overflows with beauty. Whether for a honeymoon, an anniversary or you want to reignite the flame in your relationship, Asia is the perfect place to consider. This destination is a favorite among couples. It has warm beautiful beaches that never cease to amaze those who sit and watch the sunrise on them. Hire a boat to take you down the river or visit the villages to set eyes upon a beautiful culture. Bali has beautiful mountains and a lush green landscape. 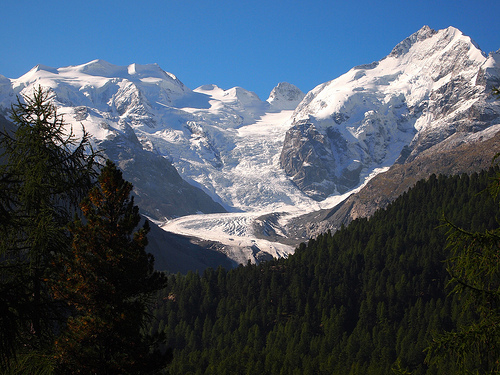 Take your partner hiking or just gaze at the gorgeous scenery. 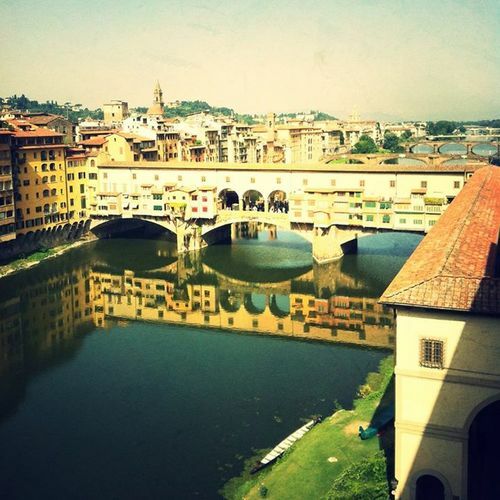 A place full of exotic gardens, beautiful bays, amazing architecture, and spas. 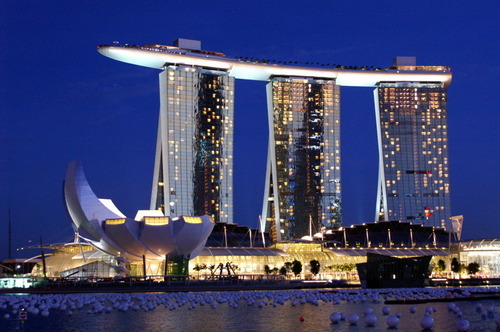 Don’t miss out on Marina Bay Sands Skypark, a resort that sits high above the city. There is never a lack of excitement in Singapore. Many lovers visit this unique place every year for a romantic getaway and they are not let down by the experiences they have. Whether you and your loved one are into nature or a bustling city, you will enjoy the best of both worlds! There are plenty of little shops, pubs, nature walks, national park trails, city parks and much more. Let us not forget about its amazing chocolate bar, too! This city has a non-stop flow of people hustling through it all day and night, giving it a lively and social atmosphere. 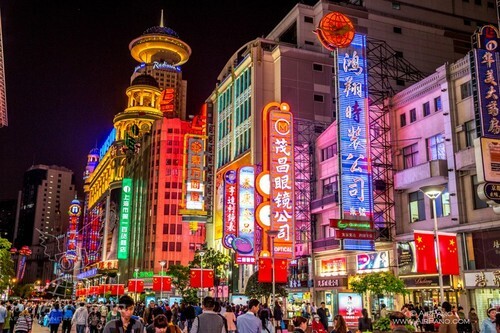 Shanghai really comes alive at night, though, and it will take your breath away. Take a cruise on the beautiful river, visit the artistic galleries, dine at the cafes, admire the landmarks and shop at the many interesting shops throughout this city. You may not have time to see everything you want to before your romantic endeavor is over, but it’s definitely worth the while to go! Are you, as a couple, more into sandy white beaches, beautiful ocean views and swimming in the sea? 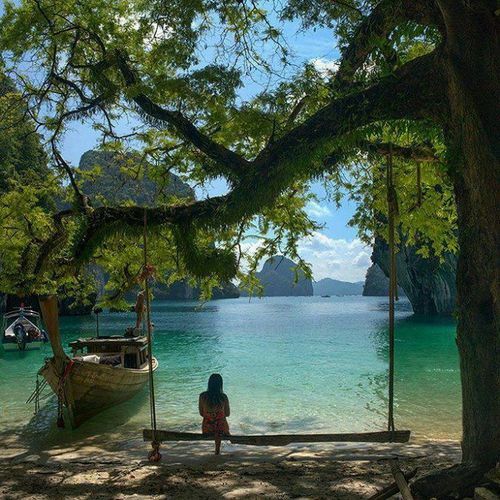 Visit Krabi and experience the true meaning of exotic! 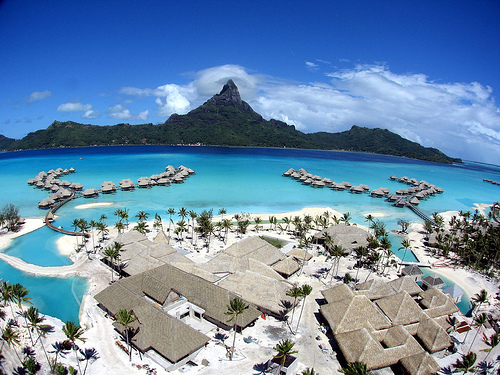 Snorkel in the beautiful turquoise sea, play with the schools of tropical fish and relax on the beach in the sun. Consider walking hand in hand down the beach and watch the absolutely beautiful sunrise and sunset. Get your adventurous side going as you scuba dive to take a look under the sparkling ocean. This is a warm, loving and romantic place to go and it’s wonderful for any couple. Take a pick from the many wonderful Malaysian Islands. Backpack throughout the wilderness, swim with beautiful ocean fish and sharks. Find some peace and quiet, as you enjoy the beauty of these mystical islands. The architecture will astound you and your honey as you visit the beautiful palaces and temples that reside within this city. Pure unique culture clings to every corner in Kyoto. Join one of the many festivals that they hold, eat amazing cuisine and shop at the cozy markets. 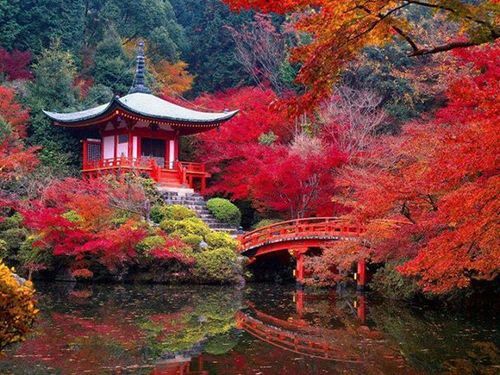 Find serenity as you walk through the Zen Gardens with your loved one and enjoy a peaceful, romantic visit to Kyoto. Indulge your sense of diversity as you stay here for a romantic getaway. Bangkok is lovely, with its wide selection of wonderful restaurants you will taste food from all over the world. You can also enjoy your meal as you float down the Chaopraya river, admiring the city from a different perspective. Visit Bangkok’s theme park and have a romantic, yet exciting date with your partner. 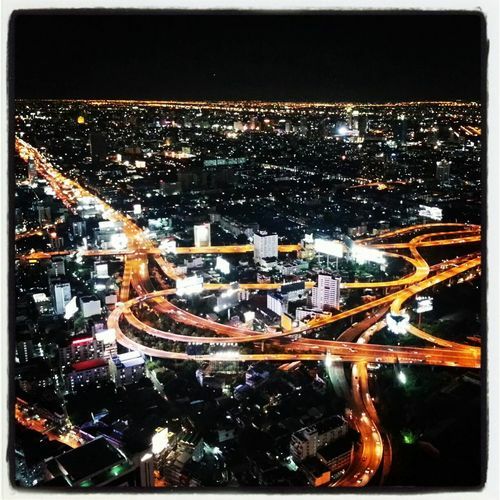 As a big tourist destination, Bangkok has so many things to do within the city limits. Don’t miss out on a truly delightful experience here. What a better way to spend a romantic getaway than swimming in crystal clear waters right off of the only coral beach in Korea? Gaze upon the black lava cliffs, enjoy the feel of white sand beneath your feet and find yourself drenched in pure tranquility on this peaceful island. Located right off of Jeju Island, Udo is so small that it only takes a couple of hours to walk around the entire island, but as you’re walking you will find nothing but pure beauty in it’s scenery. Visit Cambodia’s capital and immediately find yourself overwhelmed by it’s charm. Your taste-buds will thank you for introducing them to real, delicious and fresh Cambodian food. You can do that at one of the lovely cafes in Phnom Penh. 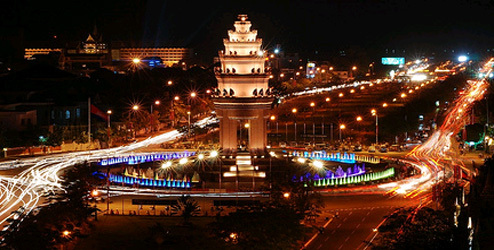 Stay at one of the 5 star hotels or book a small guesthouse. Take time to pamper yourself at the spa and altogether enjoy a romantic, relaxing getaway with the one you love. 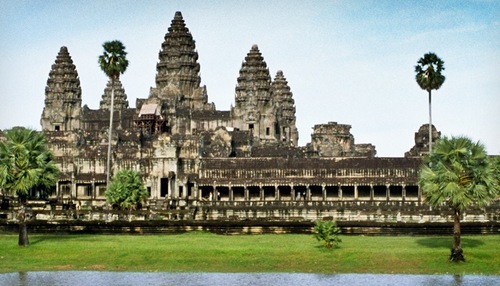 Cambodia arrives on the list a second time because of the charming city Siem Reap. This is a place full of mystique, many tourist attractions, and it’s made for those who love to take a dip into another culture. Stroll through the town to try the amazing street food, visit the many shops or find yourself wandering to admire the nearby villages . Adore the Angkor temples, bird watch at the Prek Toal Bird Sanctuary and indulge your eyes on rare species. Catch a balloon ride and go hundreds of feet in the air to admire the clouds with your darling in lovely Siem Reap.